When she fell pregnant in London in 1938, Jean knew that she couldn't keep her baby. The unmarried daughter of an elder in the Church of Scotland, she would shame her family if she returned to the north in such a condition. Scared and alone in a city on the brink of war, she begged the Foundling Hospital to give her baby the start in life that she could not. The institution, which had been providing care for deserted infants since the eighteenth century, allowed Jean to nurse her son for nine weeks, leaving her heartbroken when the time came to let him go. 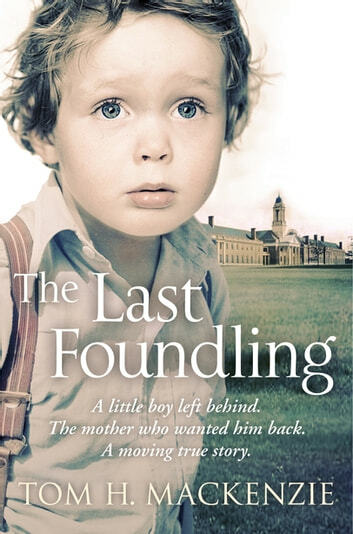 But little Tom knew nothing of her love as he grew up in the Foundling Hospital - which, during years of the Second World War, was more like a prison than a children's home. Locked in and subject to public canings and the sadistic whims of the older boys, there was no one to give him a hug, no one to wipe away his tears. A true story of desertion and neglect, this is also a moving account of survival from one of the very last foundlings. It stands as a testament to the love that ultimately led a family back together. Just had to keep reading to the end,loved it .it is amazing how these kids made it through life. Breaks my heart to think of all the love and kindness they never received l never had prents but i had loving grndparents that raised me i can relate to a lot of feelings regarding having a mother-father. I hope to write my own story one day. What a great story. I cried at the end when he finally met his mother. So glad he was able to finally have a real family. Really interesting story that is quite sad at times but really shows the strength of the human spirit. I was engrossed in the author's life from the start. A story that stirs the emotions. I would recommend this book to all who are interested in people.